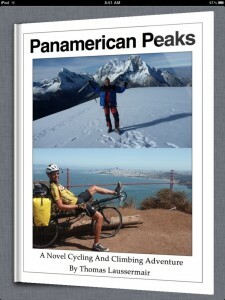 You can buy a copy of my Panamerican Peaks eBook in the Apple iBookstore and read it with the (free) iBooks app on the iPad. 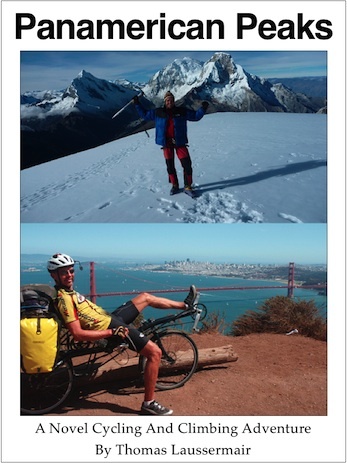 As is customary for all eBooks, you can download a free sample of the book for preview. If you have an iPad I encourage you to do that from the iBookstore. Reading the free sample on the iPad will enable all interactive, search and navigation features of the iBooks app, allow browsing of the included photo galleries and play the intro media for you. It will just give you a better feel for the Panamerican Peaks experience than you can get from just reading a static document. If you don’t have an iPad you can get a .PDF version of the free Panamerican Peaks Sample. It contains chapter headers, table of contents, the Preface, full RAIN chapter and parts of the ALTITUDE and Epilogue chapters. Wer keinen iPad hat, kann die kostenlose Schnupper-Version des eBook im PDF Format lesen. Sie umfaßt 67 Seiten, enthält das Inhaltsverzeichnis, alle Kapitel-Titelseiten mit kurz-Zusammenfassung, das Vorwort, das Kapitel ‘REGEN’ sowie einen Teil der Kapitel ‘HÖHENLUFT’ und Nachwort.